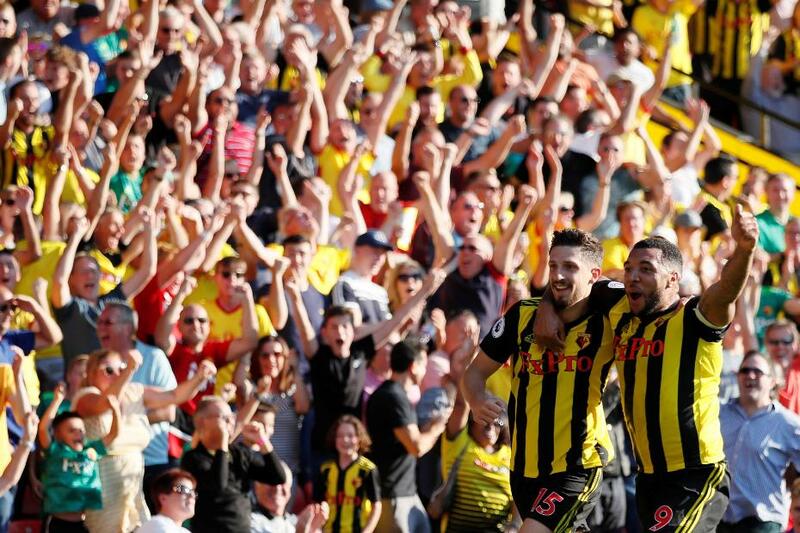 Watford have had a dream start to the season and a home win over Manchester United on Saturday would set a club record of five consecutive victories at the beginning of a league campaign. What has August's Barclays Manager of the Month, Javi Gracia, done to reinvigorate the club and already secure as many wins this season as in his 14-match period with Watford last term? Firstly, Gracia has been helped by a change of luck with injuries. He has been able to name the same starting XI in each fixture so far, something only Wolverhampton Wanderers can match in the competition. The importance of familiarity and consistency in selection, and how that helps with the organisation of a drilled unit, has been shown by two teams who have overachieved in recent seasons. Burnley finished seventh last campaign after making only 34 changes to their starting XI over the whole season; 30 fewer than any other team. Before that, Leicester City won the Premier League title in 2015/16 while only making 33 changes. Six of those came after they had been confirmed as champions. Watford's defence has also benefited from this consistency. The regular four-man rearguard of Christian Kabasele, Craig Cathcart, Jose Holebas and Daryl Janmaat only started together in the final two matches last season. With two deeper-lying midfielders, Abdoulaye Doucoure and Etienne Capoue, in front of them, they have given Watford a formidable defensive unit. Looking at Opta's expected goals (xG) metric, the Hornets have allowed their opponents the lowest-quality chances this season. In total, Watford are expected to have conceded 2.56 goals in total, or 0.64 per match. They have let in three this season. No team have allowed their opponents fewer shots on target than Watford's eight. In 2017/18, they conceded 64 goals, the third-highest number in the division. Their xG conceded was more than double as well, at 1.38. So how are Watford keeping their opponents at bay? Much of their success stems from their intensive pressing game. The Opta metric of "pressed sequences" shows passages of play where the opposition team have had three passes or fewer that ended within 40 metres of their own goal. Essentially, this shows how effective a team's high press in the opposition's half can be. Watford have completed a league-high 66 "pressed sequences", six more than teams more noted for their "high press" such as Liverpool or Tottenham Hotspur. They have also performed well in the Opta "high turnovers” metric, in which they start their own sequences of possession in open play and within 40 metres of the opposition goal. Here Watford are just behind Tottenham Hotspur's 27 "high turnovers" with 20. In addition, the Hornets have allowed their opponents to progress only 10.6 metres up the pitch per sequence in the Premier League this season, the third-best average behind Chelsea and Spurs. This shows Watford have displayed an ability to press high up the pitch, not only stopping their opponents from building attacks, but also starting their own attacks in more dangerous areas. Leicester showed many of these qualities in their unexpected 2015/16 title triumph. The Foxes had the fourth-highest tally of high turnovers and the third-most pressed sequences. Another similarity is that, like Leicester, Watford do not seem bothered about holding onto the ball for long periods. Claudio Ranieri's Foxes had the third-lowest average possession figure, with 42.4 per cent. This is just below Watford's current average of 43.2 per cent. That Leicester team had only 111 sequences of possession with 10 or more passes, the second-lowest tally in the league. Watford are similar in that they attack with pace and use set-pieces to their advantage. This season they have had only two attacking moves with at least 10 passes in the build-up and a shot or touch in the opposition box. It is too early to judge whether Watford can maintain their form for the remaining 34 fixtures and match Leicester's feats. But, having seen his Man Utd team score four times on their last visit to Vicarage Road, Jose Mourinho will be aware that the Hornets will give his players a much sterner test on Saturday. Matt Furniss is senior data editor at Opta.